Let’s do a quick straw poll here: how many big SUV owners actually take their vehicles off-road? Anyone? We thought that might be the case, which is why Land Rover’s grip on the Chelsea Tractor market might be loosening. 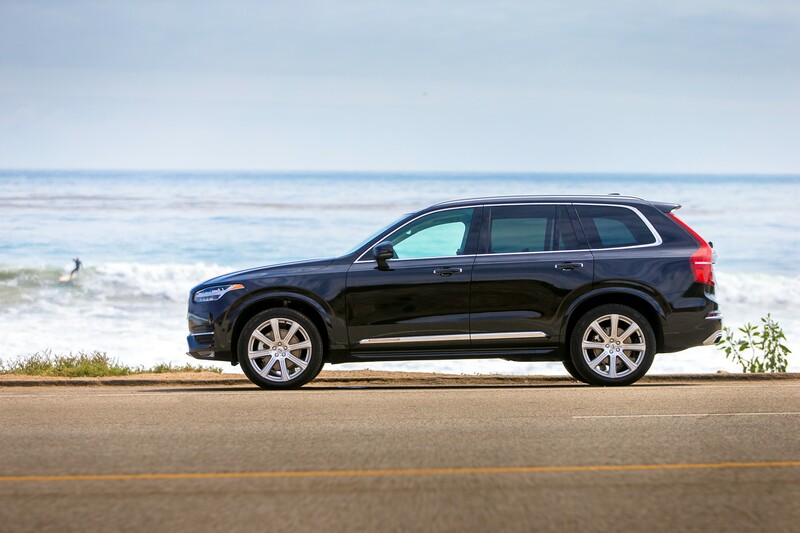 Because what the Volvo XC90 lacks in Everest-tackling prowess, it more than makes up for with bags of Swedish style, the latest innovative in-car tech and the ability to comfortably swallow seven occupants. Land Rover’s Range Rover and Discovery just look a little bit dated when compared to this truly cutting-edge machine. From the ‘Thor’s Hammer’ daytime running lights to the brave Sensus Connect touch-screen infotainment system, everything in and on the XC90 looks and feels modern. For example, that Sensus Connect system removes the majority of buttons from the dash and commits them to a large, iPad-esque touch screen display that sits neatly in the typically Swedish and almost anally retentive interior. Additional features include Apple CarPlay and Android Auto compatibility, as well as the marque’s own voice command system, which can be used to control most functions from the air conditioning to the radio station. 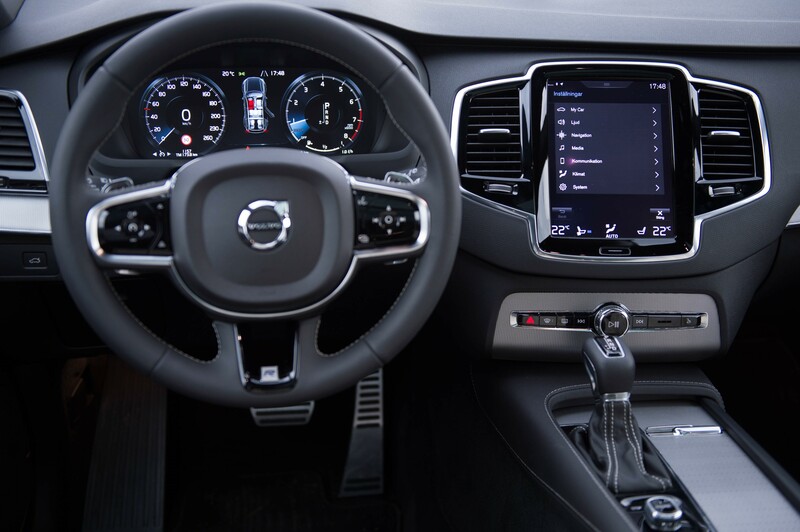 It proves that Volvo isn’t afraid to push things forward, because there will be a handful of customers that will bemoan the lack of physical buttons and dials, potentially pushing them towards a rival brand. But for every Luddite, there’s a queue of early adopters and tech fanatics that will appreciate the approach and will be blown away by the range-topping Volvo XC90 T8 model. With a staggering 400hp on tap and the ability to silently cruise the streets for 25-miles or so on electricity alone, it’s no wonder the hybrid seven-seater’s awards cabinet is creaking under the strain of trophies and rosettes. However, even the slightly less exciting 2.0-litre diesel found in the D5 model is perfectly suited to the XC90’s large frame, with enough torque to usher it up to speed without any complaints and a level of refinement that ensures the journey is whisper-quiet once cruising. The T6 petrol engine is arguably the punchier unit in the range – although it does make a fair racket – and if you like to work a motor hard, this might be the powerplant for you. All XC90s are mated to an eight-speed automatic gearbox, which isn’t the quickest at changing cogs but it is smooth and perfectly adept at selecting the right gear when it counts. 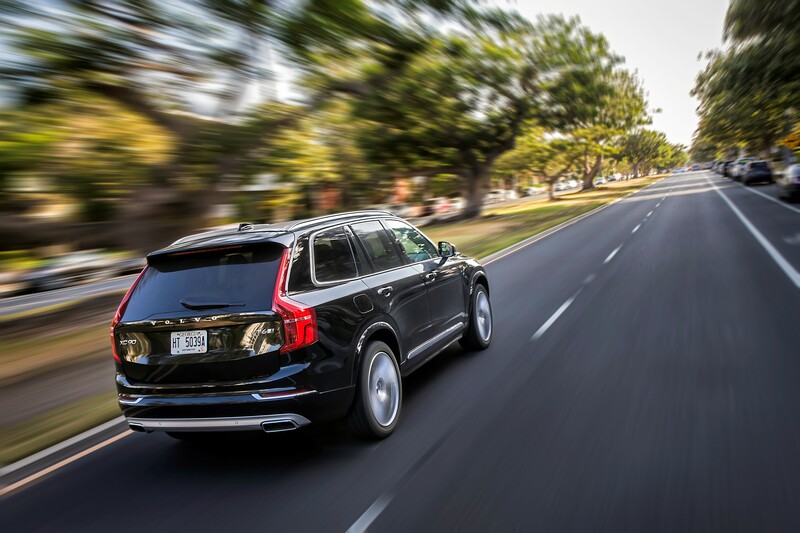 Although the Volvo XC90 can’t compete with the likes of the BMW X5 and Porsche Cayenne in terms of handling ability, it rides and drives well, with suspension and steering settings that definitely leans towards comfort rather than performance. But there are very few complaints from the driver’s seat, so long as you’re not throwing it around corners like it’s a hot hatch. Practicality is its biggest trump card, as the clever seven-seat layout means it doubles-up as a mini bus when needed yet the seats all cleverly stow should you need to transport bicycles, prams and dogs. There’s even a function where the car will lower the rear air suspension at the press of a button to make it easier to load in bulky items. Additional praise should also be heaped upon the quality of the fixtures and fittings, which include beautifully finished wood surfaces, a crystal glass gear shifter and bevelled metal buttons that have clearly had a significant number of design hours invested in them. 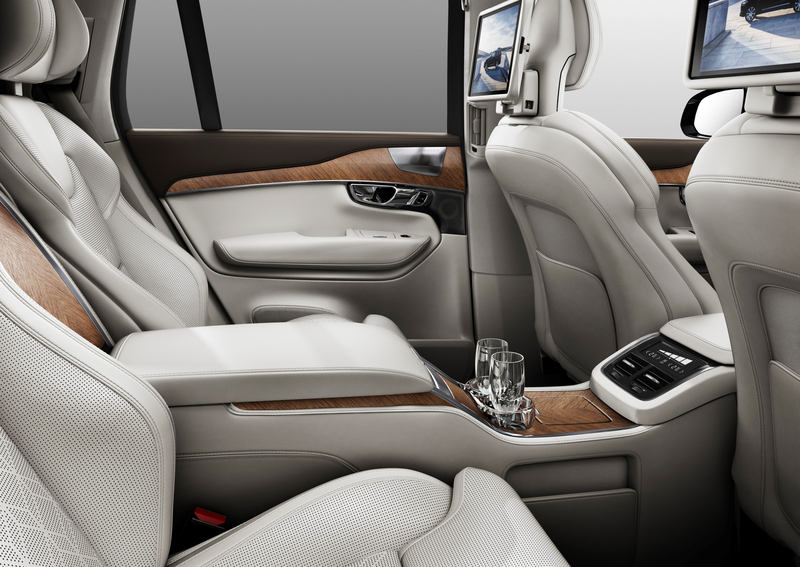 The entire cabin oozes Swedish style and even the sumptuous leather seats, which have reportedly been inspired by NASA’s comfort technology, feature a small Swedish flag stitched into the seams. Although Volvo does offer the machine in all-wheel-drive variants, it doesn’t suggest that the vehicle is suited to any off-road action. But there’s something quite nice about that. This is purely a luxurious seven-seat SUV that’s been designed to steal sales from the big name rival and the recipe appears to be a success.